We offer Silicone, Viton, NBR, EPDM & Neoprene door Gaskets as per customer requirement in various cross Sections, Sizes & Colours. Its used in Autoclaves, Clean room doors, air tight door seal & other various application. They are available in diameters upto 2000 MM and also available in extruded forms and in all colors as required by customers. 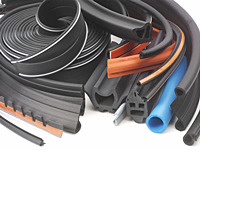 Our wide array of Extruded Gaskets are availed in more than 1000 different shapes and designs. We have expert rubber technologists whose years of industrial experience enable us to offer as per our clients’ requisite. 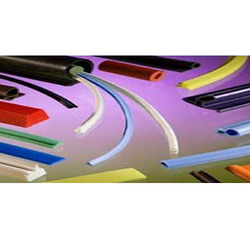 We manufacture extruded products like Tube, cord , Gasket, Profile of any shape and size upto 2 Dia. The special feature of our company is we have in-plant production and testing facility. We offer a wide range of Extruded Gaskets, which cater to the requirements of our clients. These are available in different specifications as per the requirements of our clients. - We can only provide the order to the Local Area only.